Globalization: Whether you agree with Michael Porter’s version of strategy: that of taking a deliberate, pre-planned approach to growing a business, or to Henry Mintzberg’s one: of continuously adapting to emergent and changing external circumstances, the one constant is change. today this is even more true. Rapidly evolving information and communication technology and the forces of globalization have made it impossible for companies to rest: competitors have the ability to wipe out any advantage with unbelievable speed and customers are exerting more and more pressure to reduce profit margins. So the driver for change can pressure to reduce costs by outsourcing or off-shoring certain functions or by a need to reduce risk by diversifying customer bases into foreign markets. The problem is that while organizations need to change in order to improve and adapt, they also need to continue to deliver on commitments to customers, stakeholders and to provide some stability for employees to produce in. So we end up with competing requirements: on the one side we must change, while on the other: we must retain a degree of continuity. And quite often these opposing forces will either stop the change momentum dead in its tracks or tear apart the company’s morale. What this means is that survival depends on a company’s ability to master constant, quick, and effective change, while at the same time continuing to function effectively. For change efforts to produce sustainable transformation they need to be supported by a logical business case that justifies the investment in terms of time, energy, and resources. 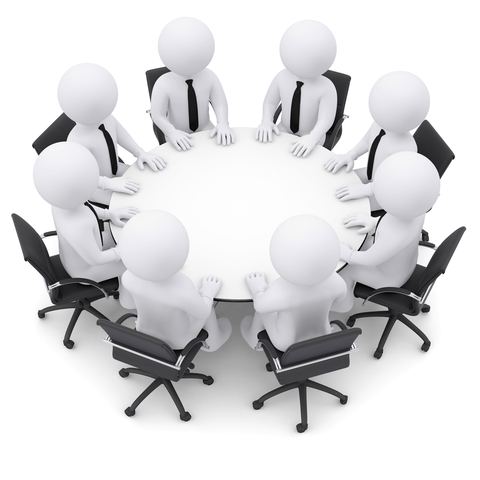 They need buy-in from top management and a clear and easily communicated vision and strategy. They need to take into account the emotions and fears of the staff. And finally, they need a workable implementation plan and sustained effort over the long term until the transformation becomes a permanent part of the new corporate culture. Before beginning any organizational change it is important to verify that a problem of significant seriousness to justify remedial action truly exists. Alternatively the company must be facing an opportunity of significant size to justify redesigning and transforming the organization. Confirm the presenting problem: It is necessary to confirm with the organization’s leadership that a systemic problem does in fact exist and is worth spending money and time to address. Conversely any opportunity that management wishes to exploit would need to be large enough to justify the investment in a change project. High level benchmarking can be useful at this stage gate. Get approval for study: Our team receives formal authority to begin gathering data. This study is necessary since the symptoms identified in step one may be masking a completely different underlying issue. This stage includes identifying the core people from the client side who will be involved in the design of the study. Select dimensions and questions: We have to be very careful in the selection of the dimensions we measure and types of questions we ask since they could easily bias the results. The key stakeholders will need to reach agreement on the hypothesis we are working from and the critical questions that need to be answered and why. Good design at this stage can help in the identification of a desired future state. Select participants: We will need to get agreement on the sample of people (numbers, position, level, etc.) who we will gather the data from. This is important since these people will have a reasonable expectation of receiving a report of the findings. Select data collection method: We will select methods of data collection that best fit the questions we are asking, the people of whom we are asking the questions, and their availability. Some possible methods include: interviews, surveys, document analysis, observation or job shadowing, and focus groups. Collect and analyze data: Once we have the data, we will summarize it, analyze what it means, and prepare written and verbal reports. Make recommendations: We will hold a meeting with the key stakeholders to present the data analysis and discuss our recommendations. Decision: Depending on what the research suggests, we will need to plan our next steps. This could mean some sort of organizational transformation project. Our team will use our experience in change management, combined with the results of the study to help plan and implement this project, if approved by management.